Qdoba sought Envysion for a video solution to drive loss prevention efforts and add material profitability to the bottom line at its 200+ corporate sites. From its fast casual dining approach to its focus on fresh, natural ingredients and inventive Mexican recipes, Qdoba has a long history of innovation in the restaurant segment. When considering video surveillance, Qdoba sought a video solution capable of breaking from traditional CCTV approaches and delivering value beyond reactive incident reviews. Impressed with Envysion’s fresh take on video, Qdoba engaged the company to provide a managed video solution designed to help operators drive loss prevention efforts and add material profitability to the bottom line, at its 200+ corporate sites. By deploying Envysion Reports, a video-based reporting solution, Qdoba was able to incorporate video into its ongoing operations to drive profit improvement at each restaurant. To date, Qdoba has put hundreds of unique users on the Envysion Restaurant Solution Suite across its IT, loss prevention, store-level operations, marketing, and HR departments. 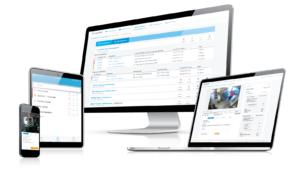 These users monitor internal metrics for loss prevention, operational efficiency and brand promise using Envysion’s robust set of exception reports, while also gaining unfiltered access to restaurant activity.